Hot Reads: Who Gets Better QB Play? Is it too simple to say that Saturday's game will be decided by which team gets the best quarterback play? Yes. Most things are too simple to say when you have to ask if it's too simple to say, so let's say instead that quarterback will be a major factor. For Nebraska, the first question is who is playing quarterback. It's looking more and more likely that Tommy Armstrong Jr. will be the starter, making the second question how well he can play, particularly in the passing game. Armstrong has now played 26 conference games over his career (throwing out the 2013 Penn State game, when Armstrong was injured and only took a handful of snaps). In those games he has completed 348-of-689 (50.5 percent) passes while throwing 30 touchdowns to 34 interceptions. Mitch Leidner has also been quarterbacking his team since 2013. The best way to describe his 43 games to this point might be "solid." When he's good, it's often the key to an efficient-but-not-explosive Gophers' offense being good enough to win the game. Sometimes he's capable of hurting teams on the ground -- 74 yards last week, 76 in the 2016 opener, 111 against Nebraska in 2014 -- at other times he's been a smart passer (see his Michigan-Ohio State-Iowa stretch last year). But lately, things have been a bit of a struggle. We'll use ESPN's adjusted QBR here because it accounts for both passing and running and adjusts for opponents. Over Leidner's last four games -- he didn't play against Maryland after suffering a concussion late in the Iowa game the week before -- his adjusted QBR has been (on a 100-point scale) 10.1, 29.5, 28.3 and 30.4. Based on this metric, that is the worst four-game stretch since his freshman year. The same will go for Armstrong over these final three regular-season games. His last four outings -- 48.1, 64.4, 46.1, 61.3 -- have been better from an adjusted QBR perspective, but those last two numbers are getting major boosts based on opponent strength. These two quarterbacks have played a combined 85 games. Is it too simple to say that a lot of how they are remembered will be decided over their final three games? Of course it is. It is also too simple to say this one component will decide the pair's final meeting. But it will probably have a major say in things. In a move designed to drum up a little buzz for the NCAA Tournament, the Division I Women's Volleyball Committee released will start releasing a weekly top 10. Guess which team is No. 1? Well, it has to be Nebraska. The Huskers moved to 23-1 last night with a sweep of Iowa (Photos) and have wins over four other teams in the committee's top 10. 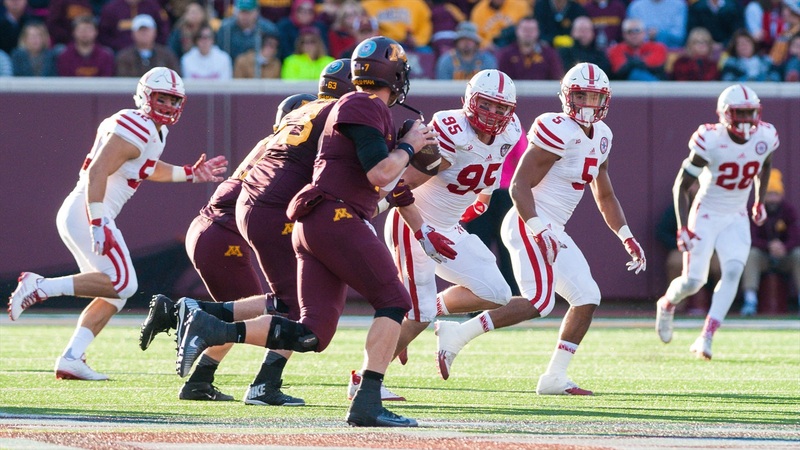 Chip Scoggins of the Star-Tribune looks at how Minnesota can beat Nebraska. Worthwhile read on how Washington hired Chris Petersen. In other coaching news, Fresno State is reportedly set to hire former Cal head coach Jeff Tedford. Adam Rittenberg of ESPN on college football's last tie -- Illinois-Wisconsin in 1995.